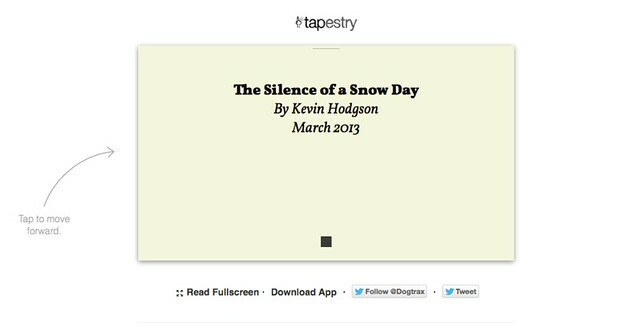 During a Snow Day when I was home but my wife and kids were not (I work in another district), I explored this story site called Tapestry, and created this story. The site works by advancing the story along with a click of the screen (or a tap if you use the App). There’s a certain beauty to having words unfold like that (although you can’t go back once you’ve started, unless you begin from the beginning).